This bold Victorian reproduction gas wall light fits well as accent lighting for your dining room, bath or anywhere you want to make a statement. 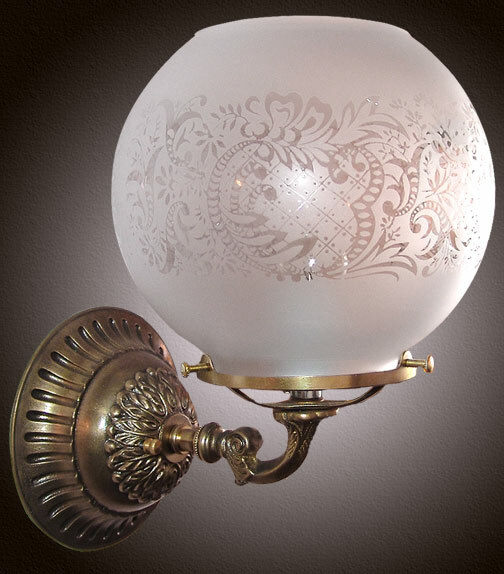 Solid cast brass construction and handblown French acid etched glass globe. Free mounting hardware included. Click Here for an alternate, more Colonial design and see how a few Custom Options can make a big difference in design.